A thought I had tonight as I tweaked my config files. Tartarite tends to be pretty tough to get/make. I think I have 10 or so ingots of it right now (using EnderIO's SAG mill to crush into dusts to increase output) in my single player world that I've been working on for a couple months. While its durability makes it a fantastic mining tool, it is only marginally stronger than diamond in terms of damage output. I think a good change to make for M5 is a power boost to some of the later game tools (everything beyond steel) in order to make Metallurgy weapons more relevant. Perhaps it would be interesting to have some metals work better for tools, others work better as weapons, and some are best for armors. This would help keep different metals relevant as the player progresses through mining tiers. Another thought I just had based on upcoming features in 1.9 (this might be a goal later in M5's development): could you add recipes to craft arrows using metals? This is a feature Tinkers Construct has, though I'm not sure if those arrows can be fired from any bow or just from TiC bows (I suspect it's the latter). Maybe you could add a machine that takes an input of eight sticks, eight feathers. and one ingot to create 8 arrows. Iron would be equal to flint in strength (9-10 damage at max charge) and Tartarite would be 14-15 for max damage (or 19-20 if Tartarite is buffed). This would be another way to add uses for lower powered metals. Without the infinity enchant, few players will want to fire off tartarite arrows on a regular basis, so they'll want to rely on lower tier arrows until they can get their hands on a bow with infinity. One thing that I do in my personal modpacks is install Underground Biomes Construct (http://www.minecraftforum.net/forums/mapping-and-modding/minecraft-mods/1293503-underground-biomes-constructs) and modify the configs so that ores will spawn in the same level as the corresponding real life rock types. This would be a neat idea if the ores would detect different 1.9+ rock types during spawn and place ore clusters near their associated rock types. Im assuming with my lack of minecraft code knowledge that this would be really difficult with vanilla rock variants although I did have a suggestion to remedy this. The mod Underground Biomes Construct has already underwent one owner transfer and the current one hasn't updated the mod for quite some time. What if you acquired the code in that mod and incorporated it into the next Metallurgy iteration and turn it into a whole underground spawn overhaul mod? UBC seems to be fairly stable and already has texture support for all metallurgy metals in all 24 rock types. Going one step further you could limit what rock types spawn in which above ground biomes with each ore following the same pattern. Im assuming with my lack of minecraft code knowledge that this would be really difficult with vanilla rock variants although I did have a suggestion to remedy this. The mod Underground Biomes Construct has already underwent one owner transfer and the current one hasn't updated the mod for quite some time. What if you acquired the code in that mod and incorporated it into the next Metallurgy iteration and turn it into a whole underground spawn overhaul mod? Hey, I'm still around! Glad you like the mod. There haven't been many updates to UBC because there hasn't been much that needed changing lately. UBC source code is public domain, although it's not going to be usable as is for 1.9 as it needs to go through the 1.7->1.8 block system updates. This is on my list actually, although right now I'm working on de-tile-entifying the construct items. My initial thought is that nobody would want to take over UB (C) because it's a mod compatibility headache. I won't bore you with the details of that but there are some fundamental problems with MC terrain generation and UB pushes those the problems to the limit because it replaces essentially everything underground. But I'd be happy to work with Metallurgy on compatibility and I've long thought it would be nice to have ore spawning connected to the Underground Biomes (it makes more sense than biome-associated spawning). I don't think melding them together would be a good idea because not everybody likes the UB stones, just as not everybody likes all the Metallurgy Metals. Even if it were associated you'd want at least a separate module. Yea its not a good meld target but if you want to work on compatibility I am more than happy to pull my weight on my end to help make it so. Will weapon speeds be based on the weight of the metal used to make it? It would make sense for a Lead axe to deal more damage but take longer to swing and more hunger to use than a copper one. Its moreso that If I was going to do work on a dimension, I should just put that work towards Atum and instead leave Metallurgy focused on what it is, a decorative and ore mod. I'll have you know I made a minecraft forum account just so that I could post about how excited I am for this. HYPE!!! I love Metallurgy 4, 3, and I'm sure the others are good too but I have not personally played them. I did a playthrough of just TConstruct+Metallurgy4+ExtraTIC. Just for people wondering about the lack of updates. M5 is pretty much art-complete for Base Metals, we're just waiting on 1.9 to begin development. Is the precious set done as well(saw some ingots in a stream of yours)?Anyway can't wait for this,especially considering how good the base metal set looked in the streams. 3D Renders might be done by Wiiv when we get around to them. Not sure yet. I can't guarantee any compatibility with Smart Moving, that's on their end most likely not ours. 1.9 is out and the Forge crew are working on getting things up and running on their end. How are things looking for M5? I'm eager to try things out and get my server up-to-date ^_^. We're starting up work on it, been nailing down final concepts, loading up the Github, etc. the last few days. Location: The Shire, Hobbiton Hills. I am looking for a coder to help me create a mod! Busco a un codificador para ayudarme a crear un mod! Excited to see Metallurgy 5 for 1.9. Hope to see it come to fruition soon. In that case, maybe have an option in the config to disable 3D armors for people who want to use Smart Moving? Also I'm not a coder so sorry if this is a stupid question, but would you experience the same problem with 3D rendered armor when using the Elytra as when you use Smart Moving? In both cases the player is in a non-default position and from what I understand, that's where the rendering problem comes from. Or maybe you could look into making a way to make 3D armor bind to different player models with PlayerAPI or something, idk. I'm a coder and I can answer your question. Animation rendering can only happen for positions which have been assigned, in this case via application to a base model. If the base model has been swapped and hidden then rendering assignments which occur after the swap will be desynchronized. In other words, it sounds like Smart Movement is not reassigning custom armor from the base model to its own model. If it is, then the armor in question doesn't have the correct animation sequences, which means Smart Movement either isn't providing or isn't able to provide them, and so should have a fallback to default positioning or a different model set. Anything which edits the base sequence should be able to programmatically propagate those changes to custom sets, or simply not use custom sets at all, since said desynchronization will always happen. In fact, this problem shouldn't be fixed by the Metallurgy team unless it's a collab with the other team. Doing so would lead to animation problems down the road. Its been a while since the last post... Any news on the state of the mod? I'm excited for Metallurgy 5 too! What's happening so far? 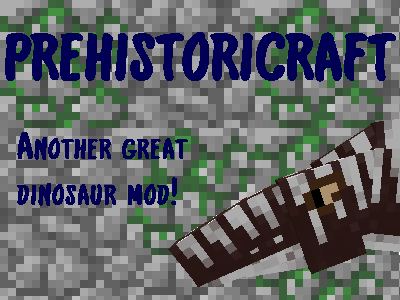 Very interesting.....Been a while since I've had this in my server mod pack. I think it'll be even more interesting with the new shields, keep up the good work people!